(gulfnews.com) Dubai: The iconic pavilion of the UAE at the World Expo in Shanghai, which closed its doors on October 31, received almost 2 million visitors during the six month event, organisers said. "There is no doubt that this has been an extraordinarily successful participation for the UAE and we have been proud to represent our country to the people of China," said Ahmad Salem Al Ameri, deputy pavilion director. He added that the building will now be dismantled and shipped back to the UAE where it will be rebuilt in the capital. 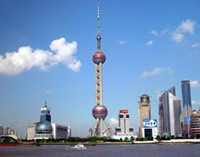 In between, a giant sign was placed on the roof of the structure, saying "Thank you Shanghai" in English and Chinese. 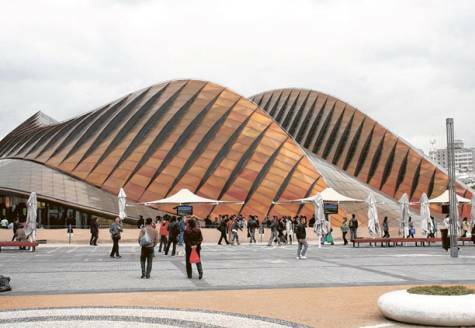 Shaped like sand dunes, the structure dominated the skyline of the national pavilions on the banks of Shanghai's Huangpu River when Gulf News visited it in the last week of the World Expo. The pavilion was indeed very popular, with visitors lining up to see three multimedia shows that showcased the life and culture in the UAE and its visions for the future. The pavilion was supervised by the National Media Council of the UAE. The UAE pavilion also won two major awards in the US, first from the Illinois Society of Structural Engineers for the "Best Midsize Building 2010" and secondly from the National Council of Structural Engineers Associations which gave it second place in its international awards. The multimedia tour in the pavilion consisted of three elements. In the first video the history of the UAE was described from the days of its Bedouin culture, pearl diving and trade followed by the discovery of oil and the transformation of the country into a modern society. In another room, several pillars with multiple screens showed Emirati personalities and professionals in fields including business, health care, sports, art and others speaking about their careers. The third attraction was a theatre in which the journey of two children was shown, displayed as hologrammes on a stage and as comic figures in a movie. The characters, one Emirati boy and a Chinese girl, were flying over various regions and landmarks of the UAE, interacting with people on the ground. The story emphasised friendship between cultures and showed the numerous achievements of the UAE in terms of infrastructure and lifestyle. The shows were developed by Dubai firm Tashkeel, an independent organisation for artists and designers living and working in the UAE. The UAE pavilion also organised a Dream Journey Prize Draw. Sixteen winners were brought to the UAE for a week-long "dream journey".